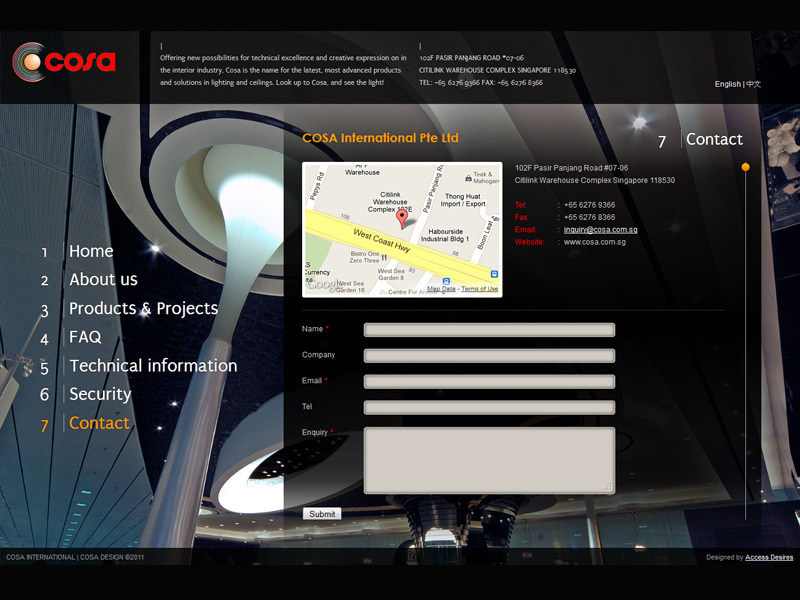 Cosa International Pte Ltd has a significant 20 years experience in interior business and for the last 10 years we put our concentration in lighting and ceiling design and construction, with exciting new materials and lighting technology. 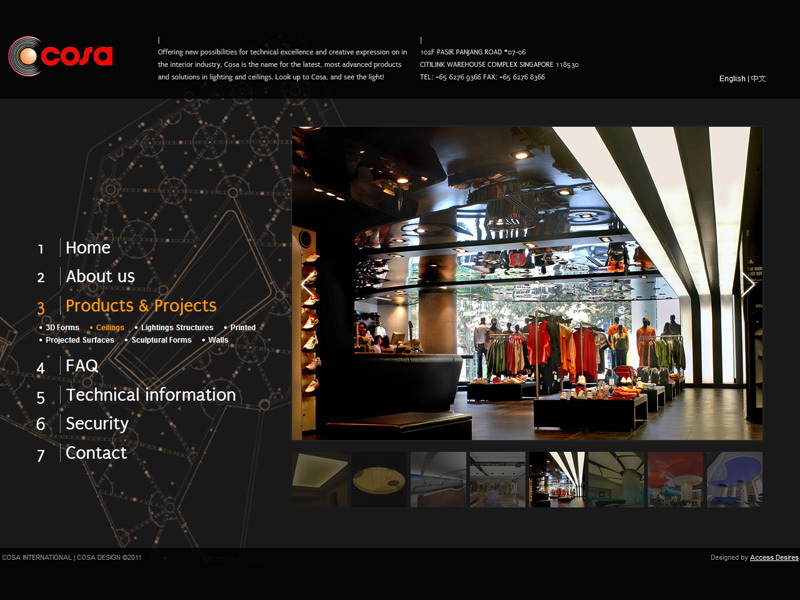 Designing from scratch to amazing project realization is our daily activities. 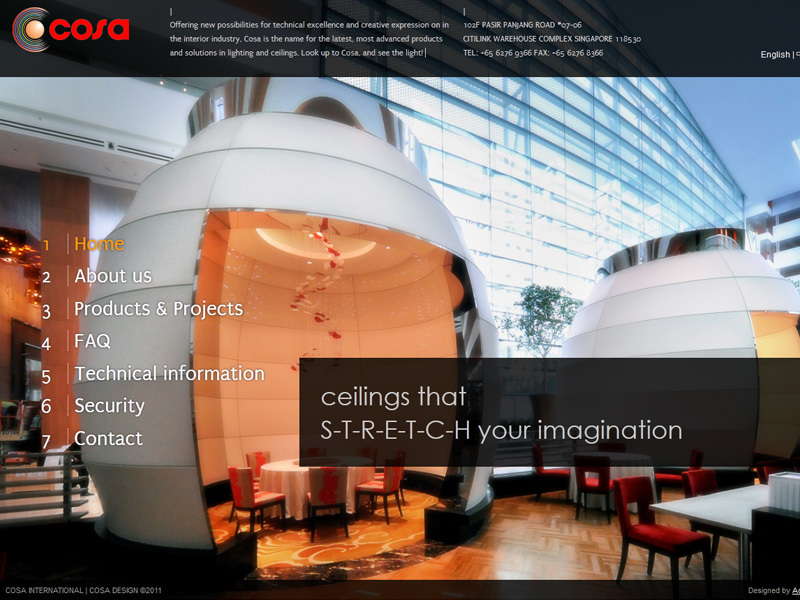 We work very closely with architects, designers, building developers, shopping centres owners from design development, construction plan and perfect installation with our professional team.